If you have any questions about the AFTER EIGHT information page below please contact us. The motor yacht AFTER EIGHT is a 46 m 152 (foot) spacious composite luxury yacht which was produced at Northern Marine and conceived by George Roddan and Jonathan Quinn Barnett Ltd. Finished and launched for 2007 her interior design reveals the modern expressions of the design work of Jonathan Quinn Barnett Ltd. Luxury motor yacht AFTER EIGHT has twin Caterpillar 3512B diesel engines which will give her a top speed of 22 knots and a 20-knot cruise speed. Northern Marine was founded in 1995 and had launched 25 boats prior to AFTER EIGHT. Northern Marine were traditionally a builder of displacement expedition yachts, however they have expanded their scope to include series-built semi-displacement yachts. AFTER EIGHT was started as a spec project, and as such was designed for broad appeal and adaptability to charter service. 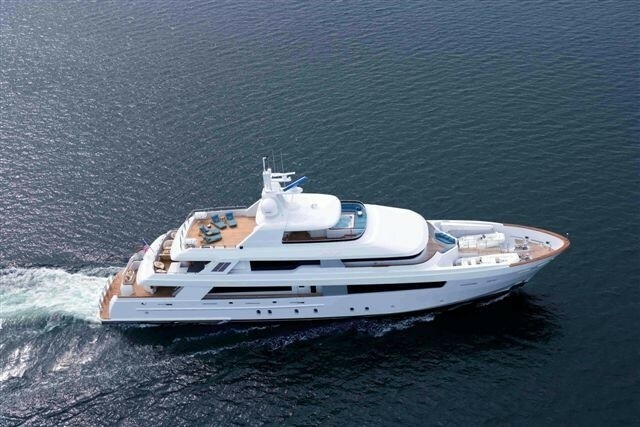 She has five staterooms including a main-deck master, elevator access to all levels and crew quarters for 12 crew. After EIGHTs sister ship is called BELLA BRI. George Roddan was the naval architecture company involved in the professional nautical composition for AFTER EIGHT. 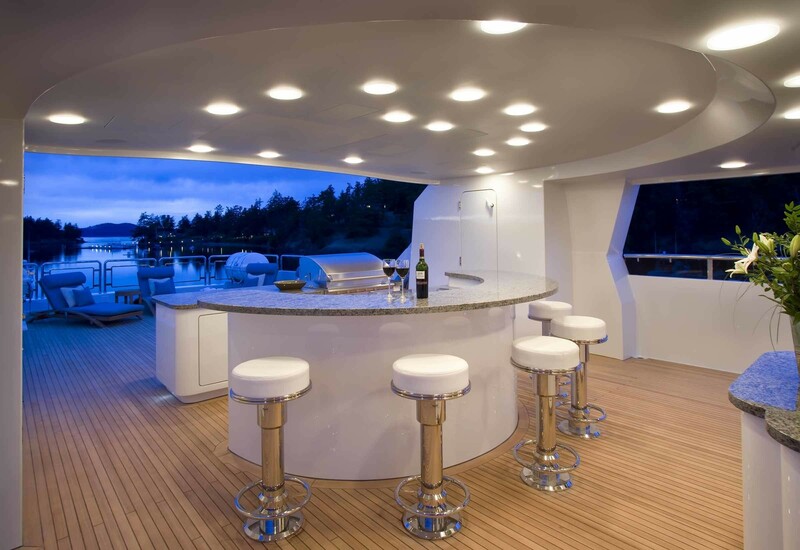 Her interior design was realised by Jonathan Quinn Barnett Ltd. George Roddan and Jonathan Quinn Barnett Ltd is also associated with the yacht general design work for this boat. Built at Northern Marine the vessel was completed within the United States. 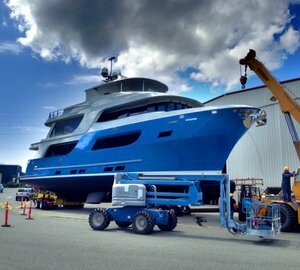 She was successfully launched in Anacortes Wa in 2007 before being handed over to the owner. Her main hull was built out of composite. The motor yacht superstructure component is made for the most part with composite. With a width of 9.4 m or 30.9 feet AFTER EIGHT has fairly large size. A shallow draught of 2m (6.6ft) selects the amount of worldwide ports she can enter, taking into account their individual depth. 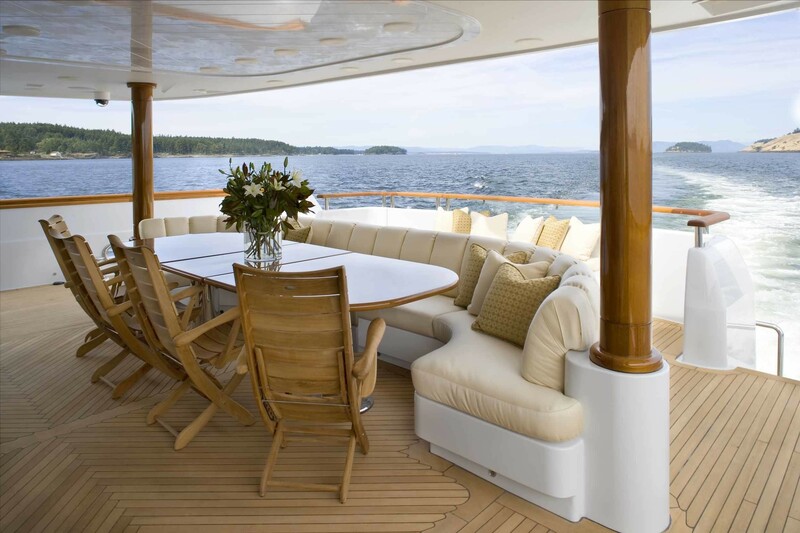 Powered by twin CATERPILLAR diesel engines, AFTER EIGHT can reach a maximum speed of 22 knots. She also has an economical range of 4000 miles whilst motoring at her cruising speed of 20 knots. Her total HP is 4500 HP and her total Kilowatts are 3357. 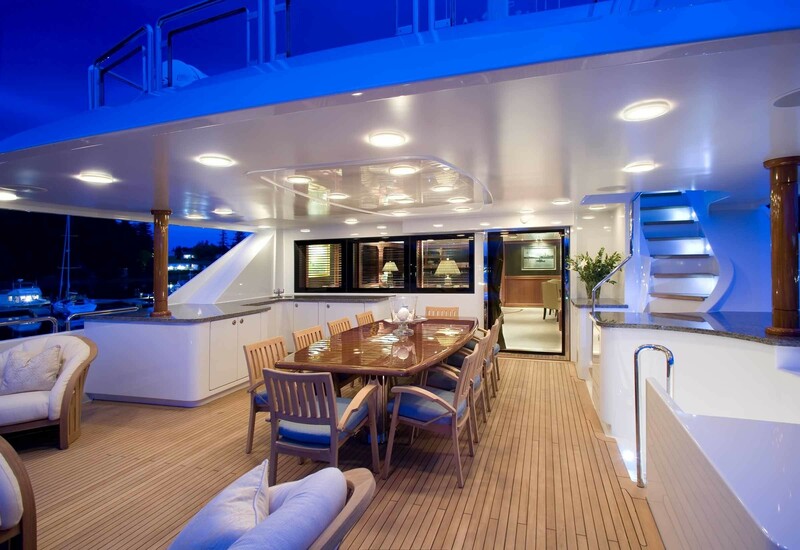 The large luxury yacht motor yacht AFTER EIGHT can sleep up to 10 people in addition to 12 crew. 46.2 metres / 151.57 feet. Giving the combined power of 4500 HP /3357 KW. The luxury yacht AFTER EIGHT displayed on this page is merely informational and she is not necessarily available for yacht charter or for sale, nor is she represented or marketed in anyway by CharterWorld. This web page and the superyacht information contained herein is not contractual. All yacht specifications and informations are displayed in good faith but CharterWorld does not warrant or assume any legal liability or responsibility for the current accuracy, completeness, validity, or usefulness of any superyacht information and/or images displayed. All boat information is subject to change without prior notice and may not be current.